IIMA will be presenting at American Metal Market's DRI and Mini-mills conference in Chicago November 13th-14th 2017. IIMA Spring members' meeting will be held in Belo Horizonte, MG, Brazil, April 8th-10th 2019. See this news item for meeting details. Chris Barrington, IIMA's Secretary General, will attend Metal Expert's 6th MENA Billet & Steelmaking Raw Materials Conference to be held in Muscat, Oman in September 2018. ​IIMA Spring members' meeting will be held in Belo Horizonte, MG, Brazil, April 8th-10th 2019.  Chris Barrington, IIMA's Secretary General, will attend American Metal Market's 6th DRI & Mini-mills conference, to be held in Chicago, November 26th-27th 2018. IIMA will hold its 2017 autumn meeting in Düsseldorf, Germany October 11th-13th. The IIMA is dedicated to those involved in the ore-based metallics value chain - raw material supply, production and transformation, trading and distribution, transportation and logistics, technology and equipment. Its members account for more than 80% of production and international trade in ore-based metallics. Ore-based metallics - merchant pig iron (MPI), direct reduced iron (DRI), hot briquetted iron (HBI), granulated pig iron (GPI) - are value-adding feedstock materials for the iron & steel and ferrous casting industries and IIMA has as its principal objective their promotion through product and market support, innovation, education and regulatory support.